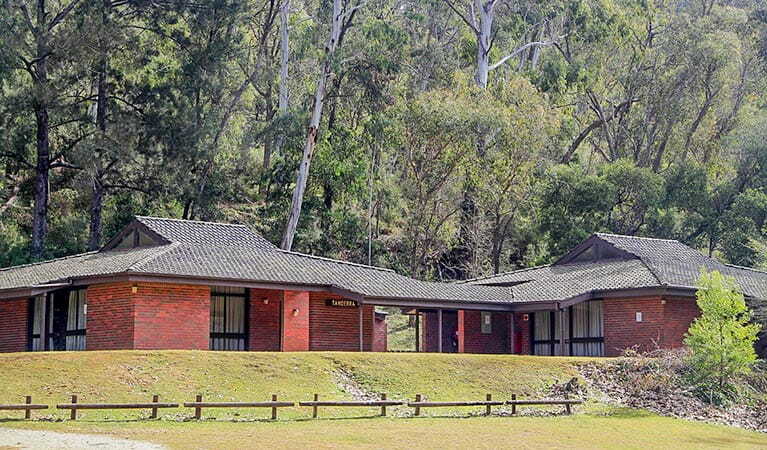 Wombeyan Caves dormitories provide rustic accommodation for groups offering cave tours, walking, swimming, canyoning and mountain biking, near Wombeyan Caves. Rates and availability are displayed when making an online booking. Check in 2pm to 4pm. Check out by 10am. The dormitories are booked by room, not by bed. The nearest general store is located in Taralga, 32km away. Supermarkets are located at Goulburn or Mittagong. 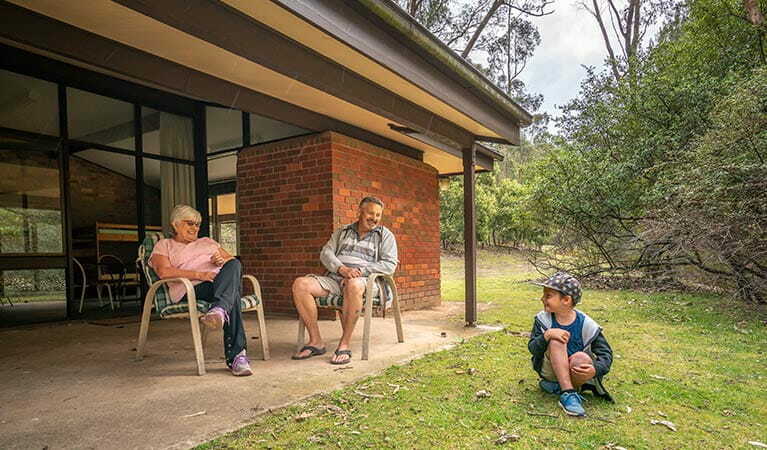 Camping is available in Wombeyan Caves campground and there's more accommodation in Wombeyan Caves cabins and Post Office Cottage. 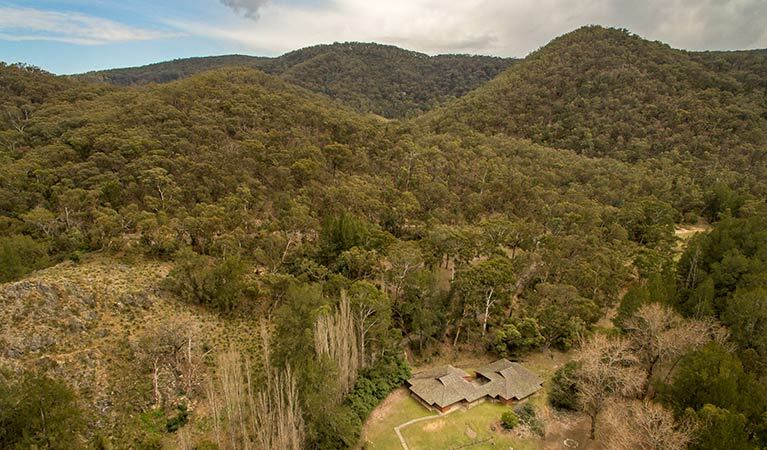 Nestled in a secluded valley on the banks of Wombeyan Creek, Wombeyan Caves dormitories offer a great opportunity to get out amongst nature without sacrificing the comforts of home. 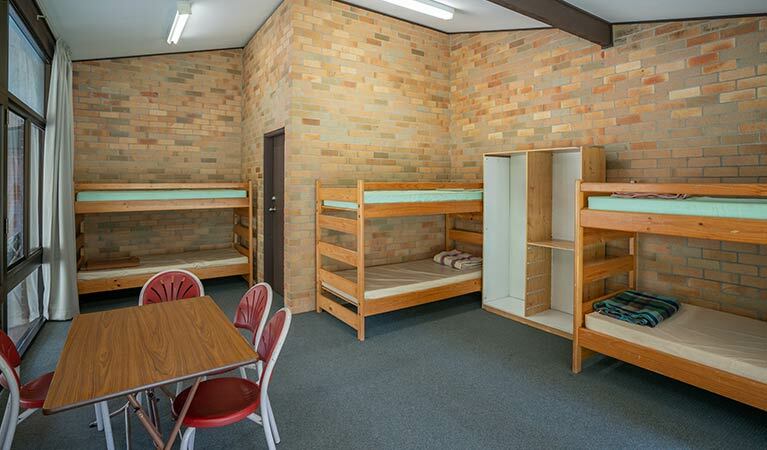 Providing rustic accommodation on a scale ideally suited for large groups, the dormitories are situated in the scenic Wombeyan Caves Karst, between Goulburn and Mittagong. 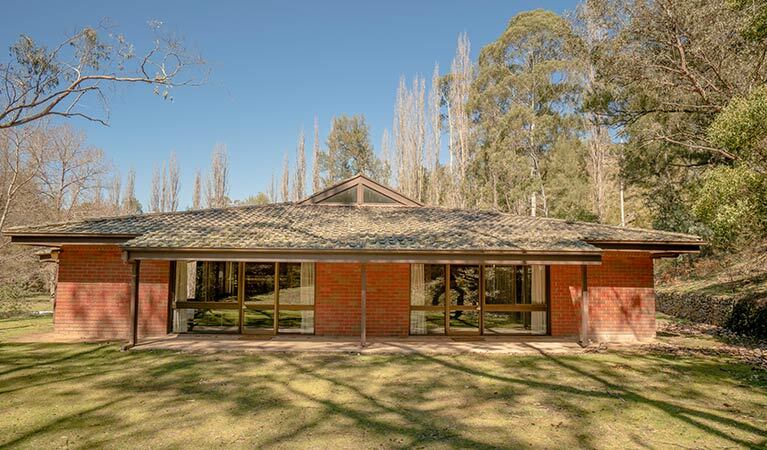 Surrounded by bushland, you’ll most likely wake to birdsong and the sounds of the forest. After a hearty breakfast it’s time to explore the underground wonderland with a range of cave tours. 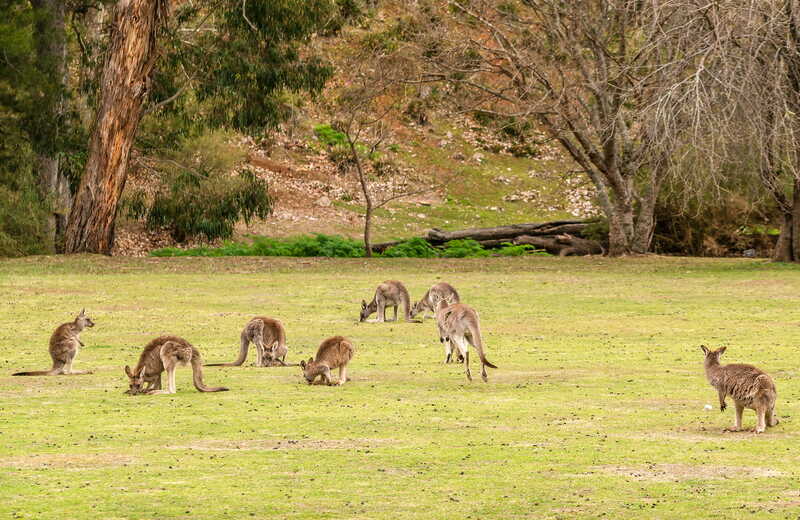 There’s bush walking, swimming, mountain biking, paddling and canyoning for the adventurous and the little ones will love the nearby children’s playground. With all that exercise, the campers kitchen and dining hall will be well-used while feeding the hungry hoards. 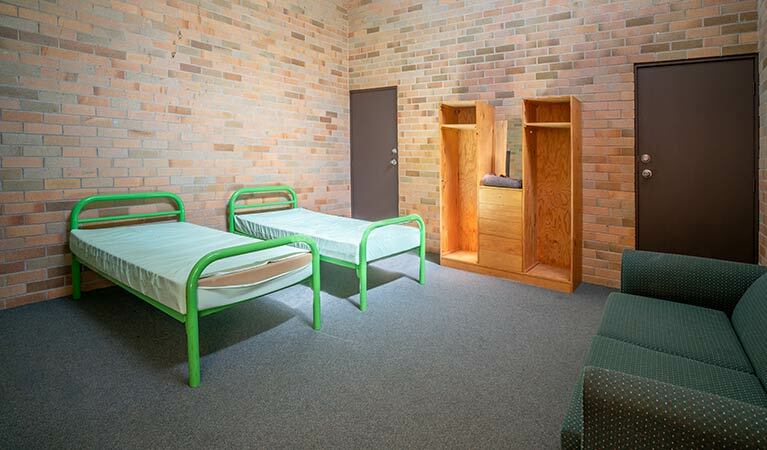 The dormitories are perfectly suited for families, community groups, overseas visitors, and schools, who are seeking an easy budget accommodation option. Wombeyan Karst Conservation Reserve is always open but may have to close at times due to poor weather or fire danger.